EMCC’s Community Education department offers a range of summer classes that combine information, hands-on knowledge, and fun to enhance the annual seasonal break for kids ages 4-16. Breaking out of the mold of the traditional coursework students engage in during the school year, Kid’s College courses help expand their learning sphere while allowing them to explore personal interests. As an example, kids with a passion for science might want to enroll in the NASA Space Explorers course. Budding actors and dancers might want to try out one of the courses designed to help them build and showcase their skills. 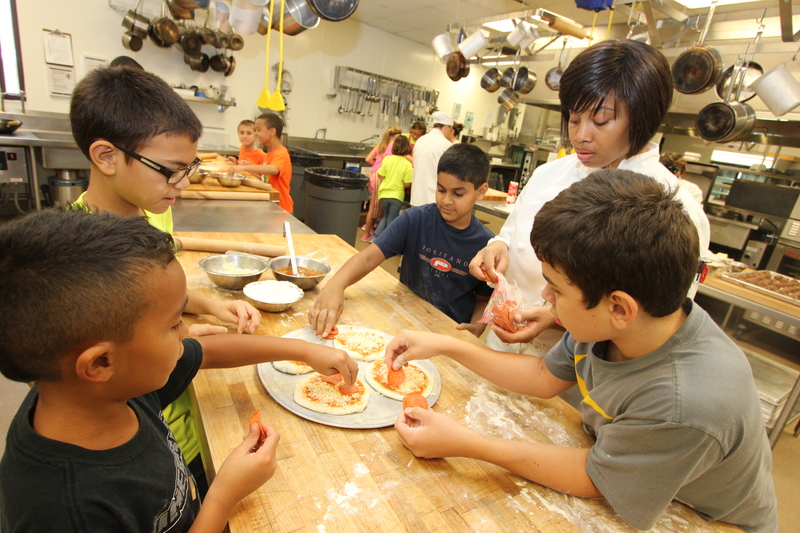 Kids who love to help in the kitchen might want to take one of the culinary classes offering specific focuses on specialty and ethnic cuisines. Mosaics and Origami are classes that might interest the artistically-inclined to learn new, specific techniques for creating unique projects and artwork. Some of the many courses offered explore popular career paths, like firefighting, video game design, and veterinary medicine. The classes offered are diverse and cater to multiple interests, skill levels, and age groups. EMCC Kid’s College classes offer a great variety of topics that can suit any young student, while also expand their confidence in learning for the future. “We offer all kinds of stimulating classes in art, piano, singing, culinary, Lego™, Mad Science, computer gaming, cheer, dance, kickboxing, Jiu-Jitsu, reading, and babysitting, Ford explained, “One of the more long-term benefits of Kid’s College, though, is that the experiences offer children a chance to take a challenging class on the EMCC college campus and find out that our campus offers more than college classes for adults; we serve the entire community.” The opportunity to navigate a friendly, supportive college campus and get a firsthand understanding of the campus’ physical environment can help encourage secondary learning in the future. Time/Date: Classes offered average 3-days-long. Courses vary in price. Registration: Visit the Community Education website to register, and for a complete list of class descriptions, times, and prices. Location: Most classes are held at the main EMCC campus at 3000 N. Dysart Rd., in Avondale, Ariz., unless otherwise noted.